With funding from the United States’ Millennium Cooperation Accounts (MCA), renovation of Nkula A is at an advanced stage. Through the project a new dam has been constructed solely for Nkula A unlike in the past where both Nkula A and B were using one dam. 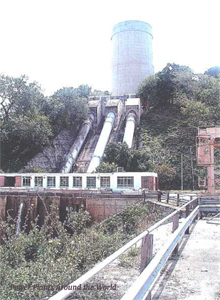 Old equipment on Nkula A units 1,2 and 3 have also been replaced increase its electricity generation capacity for each to 12 megawatts (MW) from 8 MW.